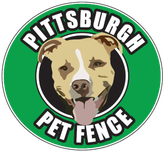 Keep them safe with a Pittsburgh​ Pet Fence! ​Service Award 6 Years Running! Safe & Effective Dog Containment. At an Affordable Price! Pittsburgh Pet Fence is the area's BEST electronic pet containment company featuring outstanding customer service and the finest dog fence products available. We are locally owned and not associated with any national franchise. Pittsburgh Pet Fence can save you a lot of money! ​Browse our Exclusive Wall-of-Paws display to view pictures of many of the dogs we have safely contained. After all, it is all about protecting and securing the Dogs! 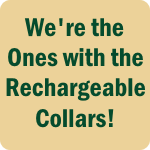 And don't forget - we're the ones with the rechargeable collars! That will save you big bucks over the years. Call 412-206-9210 for a FREE Estimate! Browse the Wall of Paws! ​2012, 2013, 2014, 2015 , 2016 & 2017!